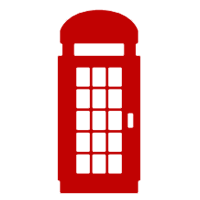 look for the red BRITISH phonebooth. oak at church. downtown visalia. Dedicated to fresh farm-to-table ingredients and offering curated menus of unique selections sure to please even the pickiest of palettes. "Look for the British phone booth in front of the old Tulare County Jail. Jack & Charlie's is in the basement, under the stairs. The upscale California cuisine was beautiful, well-presented and delicious. Enjoyed the braised lamb with couscous and vegetables. Generous portions, great wine list, and very reasonable." Don’t miss any of our special events! Never miss an event! Enter your email address and join our e-news community to get the latest information sent directly to your inbox. We couldn't dish out the best without our local farms and growers. get social with jack & charlie's! Be part of the growing Jack & Charlie's community. Tag a friend and bring them, too!